Because first impression counts. 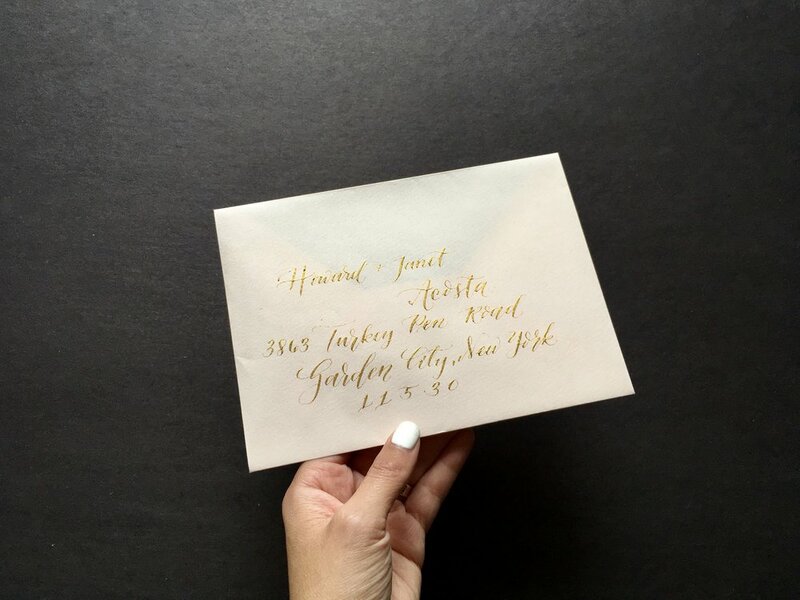 A beautiful envelope addressed is the perfect way to show your guest the wonderfulness of your event. 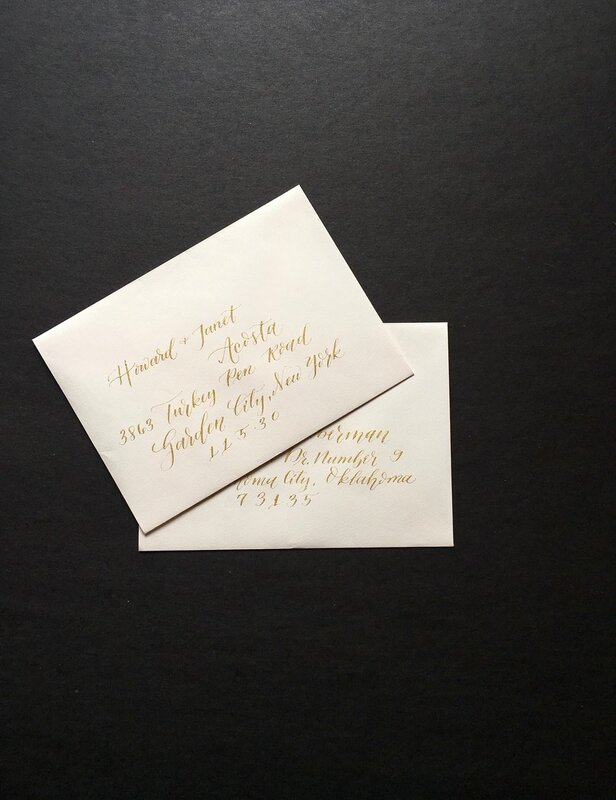 Beautiful modern calligraphy on invitation envelopes goes a long way. 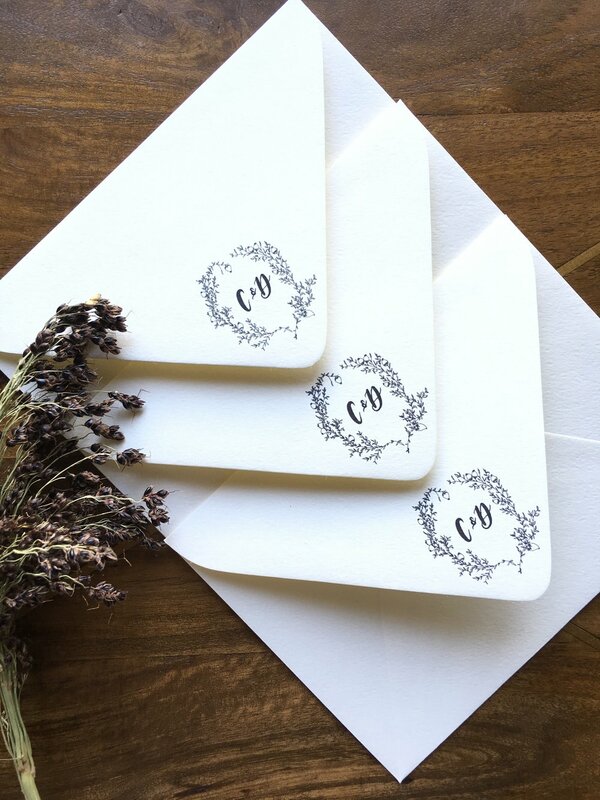 Its that special touch that creates anticipation for the invitation and your special day. We use pointed pen in a modern calligraphy style. Standard ink colors are black, white and gold. Not your color palette? No problem. We can customize our ink to your needs. Our turnaround time is about two weeks from when we receive your order and signed agreement. For all our paper orders we require 20% additional material to allow for errors. Standard addresses include 4 lines.